Everyone thought I was crazy for moving to Costa Rica. I got a lot of questions like… what are you running away from? What will you do without your family or fiancé? Will it be safe? To be honest, I knew I would be fine except I wasn’t sure if I was running from something. I did a lot of digging within myself to see why I was moving here. I kept getting the same answer, “this is what you need.” After being here for almost 2 months I know I was not running from anything. In fact, I found everything. I have been working out 4-5 times a week and eating healthy. I have seen a change in my physical appearance in just a short 2 month period. I am loving the feeling and energy I have from working out and eating healthy. I have been doing tae bo, swimming, lifting my little 3 pound weights, and of course walking! While I am at school, I do little work out games with the kids so they get their energy out. I am so active here. Not only has my physical appearance changed, my relationship with my Fiancé has changed. I love him so much yet before I came to Costa Rica our relationship was stagnate. We stopped having tough conversations. We stopped pushing each other to be better. We stopped being intimate. We hung out all the time and we snuggled. We just didn’t have the same energy and passion we had a few years before. Since moving here, we have had some tough and rewarding conversations. We have had the passion and intimacy come back like we had when we first met, only better. Being long distance, has shown us so much about communication it is amazing. It is just the beginning too! Most of you know, I attend a place in NYC called the Institute for Hermetic Philosophy. I cannot attend every month since I am in Costa Rica now. I was so scared to make this move and not have the lessons and homework from the school. I wasn’t going to make the move because I didn’t want to miss the classes once a month. I had to do the most digging with this decision than any of the others I had to make. Again, something said “this is what you need.” I had faith the universe would be right and give me what I need. After being here for 3 weeks, the universe gave me a place that I have to grow spiritually. The place is a little church in the jungle. I haven’t wanted to attended church in over 5 years. The churches I had been to in the US were not places I would want to be because of the unfriendly atmosphere. So after the universe told me to go to the little church in the jungle I have been going ever since. The place is unlike any church I have been too. They are love each other. The pastor truly loves ever person that comes through the door. The people are helpful and amazing. It feels like home. Thanks to the work I have done at IHP I am able to see the sermons in a different light that allows me to grow as a person. Every week I go and the sermon answers something I needed an answer too just like at IHP. After my last teaching job I felt like a horrible teacher. I didn’t want to teach again. My school her has renewed my love for teaching. I have some amazing students that push me in ways that I can’t explain. I love the other teachers and office staff. They are so warm and helpful. Last night, I went out with a bunch of other teachers. It was a great experience that never happened in the US. We went out for happy hour and sushi. Since I don’t drink I ordered virgins. Not once did anyone care that I wasn’t drinking. It was a great time. 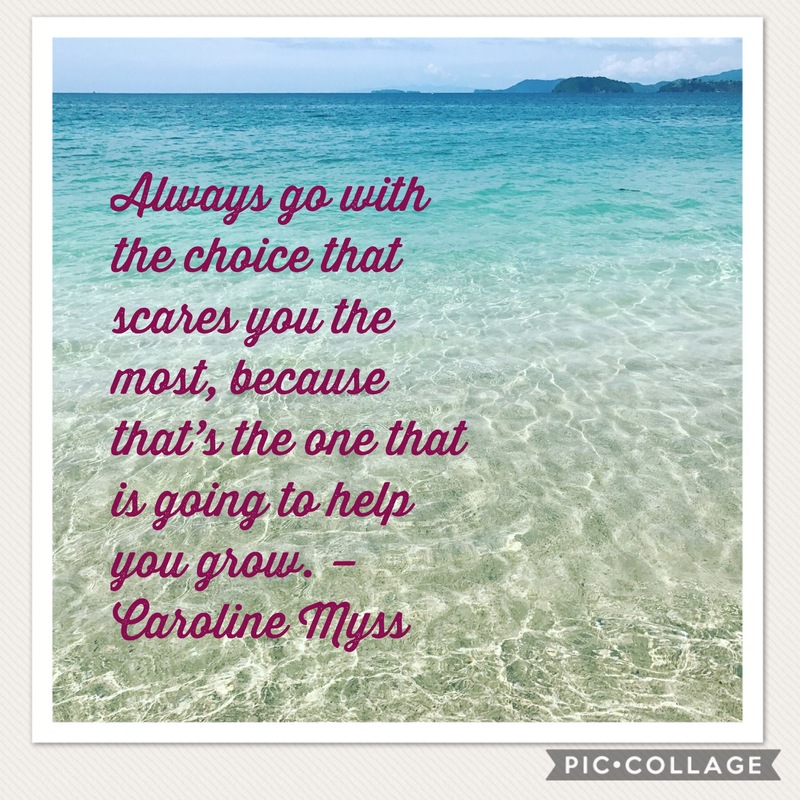 One of my favorite quotes says, “Always go with the choice that scares you the most because that’s the one that is going to help you grow.” That is what happened to me. I made the choice that was the hardest and scariest, and now I am growing in more ways than one! Amazing! DO Something that scares you. GO deep and see what you can find. LOOK to the universe for what you need.